Entire Parliament As Government - VIP Culture Or Social Justice? Here he goes again, Rajiva, nit picking and pointing fingers just like Dayan Jayatilleke – his great buddy. As long as Rajiva with his backward focus and fighting with his cousin Ranil Wickramasinghe, is in charge of Higher Education the Universities and Higher Ed. Sector will continue to be a DISASTER. Rajiva should be asked to resign and a more capable person such as Prof. Saviti Goonasekera appointed as Minister for Higher Education. Is he asking to be fired ? He has a major attitude and ego issue ! President Sirisena – please fire him if you want the UGC to move forward. Enough is enough ! Read it again Point of View. Rajiwa has resigned. His resignation was effective a week ago. He has returned his vehicles. Rajiva, has been ‘resigning’ for some time. I will believe his resignation once confirmed by the authorities. BTW, ‘Ediot Buuruwa’ – the name suites you ! Present government should have known very well of this so called Prof. Whose mind is unstable. He goes on bluffing and put his fingers in every pie but nothing comes out of it. He’ s insane sits on the FENCE to jump and show up where it suits him. Then all fizzled. What kind of a professor is he? Good governance means good governance just because he favours the ex UGC /VC he cannot even think to reinstate her. Her mismanagement of UGC is history as same as the last so called greedy king. This fellows resignation should be accepted gracefully and thank you Mr W. for fluffing. Rajiva’s resignation should be accepted with both hands, and a more capable and sensible person such as Prof. Saviti Goonasekera appointed as Minister for Higher Education. The UGC and all the university faculties are stacked with politically appointed ignorant, incompetent mediocrity and need to be cleared out like the Augean Stables! I do not know this person except for current row over the Ministerial portfolio. However considering the issues raised by him and his behavior, do not bring anything favorable towards his claims. He thinks good governance is nothing more than to appoint him as a cabinet minister. What a silly expectation from a person with supposed to be some academic qualifications. What can we expect from most of our politicians with out even O/L s? I do not wish to behave like those in power then, and I would not want those I work for to behave in violation of the law either. Where were you the past few years Rajiva? On Mars? Oops forgot, part and parcel of the previous despicable regime. Yes, you were PART of that regime and behaved like that regime. Stop pretending to be lilly white ! Change ? What change with the likes of you !!!!!!! I am Samuel Ratnajeevan H. Hoole. I was not retired. I was vacated post from Peradeniya while on leave and am still fighting for reinstatement. I think Prof. Wijesingha’s reference is to my brother Michael Ratnarajan R. Hoole who was prematurely retired from Jaffna. Prof. Wijesingha deserves both congratulations and thanks for setting this right. 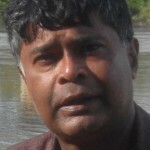 Rajiva, I do not know why you and Dayan have an EGO which is larger than Sri Lanka. If you educated guys want to serve Sri Lanka, without looking for any self benefit, then you have to let go of your EGO and work for the people. Afterall you are not an elected member, you came to the Parliament through “Pinnata Seat” and you have to be thankful that at least you are a State Minister. Give up your EGO and serve the country. Why does the Government of Maithripala Sirisena and Ranil Wickremasinghe need to mollycoddle Rajiva Wijesinghe? To me as an outsider to do so looks extraordinarily stupid. Has he wormed his way into the path of MS and RW like he did into Chandrika’s and Mahinda’s? Is he relying on the laurels of his father Sam, just like his friend Dayan Jayatilleka does on his father’s laurels? As a Minister what he has displayed up to now is a lack of flair for putting together a group of people to work together. The only ‘assets’ he has are his predisposition to prevaricate and an irritating Oxfordish accent. What he has displayed however is his determination to sink his claws on the power that goes with a Ministry. To get an idea as to how his convoluted mind works please read his last two dozen articles that were published in the Colombo Telegraph. He is not even of any use to bring political strength to the Government. The average Sri Lankan disposition is allergic to his inclination to drool at the feet of authority, an adjunct of which is to back stab at the opportune moment. Politically he is only a liability. More so, his loyalty to the Government is open to question due to his closeness to Dayan Jayatilleke, the Government’s sworn enemy. It will be in everyone’s interest, certainly in the interest of education, to please let him go. The Chair, UGC was appointed to that post by President Mahinda Rajapakse for the simple reason that she had offered honorary degrees for him and his brother. She canvassed for MR, and also instructed university teachers in writing to do likewise. Now Rajeeva wants to ‘correct’ her mistakes – rather than find her incompetent. Minister Hashim took the correct step, by getting rid of her. Her husband too was made VC of Colombo university by President MR for the same reason, though more senior and qualified persons existed/exist, for the post, and this has caused many protests and dissatisfaction. The Jaffna University is virtually under Devananda and the VC is his puppet. This has to be corrected. Without bull shitting…Please, please go away we don’t want an autistic idiot (pardon me apologies to intelligent autistic people) to upset the apple cart further! YOU DON’T DESERVE TO BE AN MP, LET ALONE BEING A SIMPLE STATE MINISTER! You think you are intelligent with your Oxford accent, obviously from the advantaged class with many connections. Please join your other odd thinking friend DJ, and join the Nugegoda crowd led by jathibeda-wansalage Pannikkaya and vasu-vasi who missed the bus! You sound pathetic. Why don’t you resign. 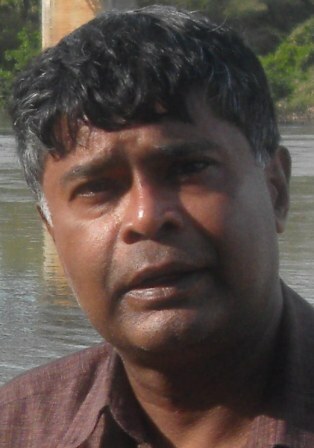 Hiribruegamas had been and are a disaster to the university system and University of Colombo in particular. And now you have joined in. You three should not be any where near the universities if the universities in Sri Lanka are to progress. You your self has told that the husband Hirimbregama is not fit to be the VC. How the hell do you think the wife who promoted him through her political links is fit to be UGC chair. You three are bunch of idiots. Rajiva. the rouge PM’s first cousin at least stands up for a Sinhalese ,one of the few left in the our Srilankan Public Service which is supposed to look after the great majority.without any bias towards the elite. In fact, I take my hat off to this dude, because the Sinhaa Buddhist Faction leaders who are supposed to be the guardians of the Sinhala Buddhists have become as useful as a spare organ at a wedding.when it comes to protecting the interests of the Sinhala Buddhists . Ministry of Buddha Sasana couldn’t rescue the ancient Buddhist site Kuragal . UNP ‘s only Dalit President’s son is too busy counting the Samurdhi money. Your grievences are appreciated. However, these kinds of attempts will only dilute and distract the efforts of the new government. You need to have patience prof. It is good to see some one stick to his principles at any given cost. But at the same time we remember this particular lady giving decisions to appease Rajapakshe regime on numerous occasions in the past which was disgraceful for the high position she held. Her behaviour was quite contradictory and shameful for what was expected from her. You came to serve the university system and for a singular matter like this how fair is it to deprive your valuable sevices to the much needed ailing university system of ours. I wish you held your nerve little longer until the troubled waters calm down. I am disappointed with this development and also with whoever who did not want to rectify the matter in a timely fashion. Sorry undergrads, light at the end of the tunnel is not that close as we expected. I heard this Prof stopped the undergrads getting Leadership Training. No where I read the truth. Anyway, Leadership program is a MBA in the Western Universities. So, Sri lankan undergraduates had the opportunity leran it free. I heard this prof., for political reasons, cancelled it. Professori, you are indeed living a charmed life! Your malleable ‘principles’ allowed you to serve the evil mob as they screwed the nation, and then, with a smart swerve, you corkscrewed your way into the affections of the My3 palanaya. Alas, Professori, you are made for for pontificating (much like your indefatigable soul mate DJ) but now that you have been given the opportunity to get into the vipers nest that is our ministerial politics, crafty buggers like Hashim are giving you the run-around…..woo! woo! woo! You are about, ooh let’s see, two or three moves behind your protagonists. More over, what is this running to the media at each move to explain your every move? Every minute of your time should be focused on the job in hand. Leave the hard work of sorting out Higher Education to one of the many professionals. Go back to entertaining us with more stories of how ‘the President ignored your advice’ and regretted it later and other tales of derring-do. I suppose, Rajiv feels he could use Kshanika the way MaRa did! She is amenable and useable ! As one who has gone on (written) record in opposition to this unmentionable being in any position of authority in a government making any claim to reforming the rotten “governance” it inherited, I am truly amazed that Rajiva Wijesinha still holds a position of any significance. Is it simply because he is Ranil’s first cousin? IS HE IN OR OUT AS SOME SORT OF MINISTER?